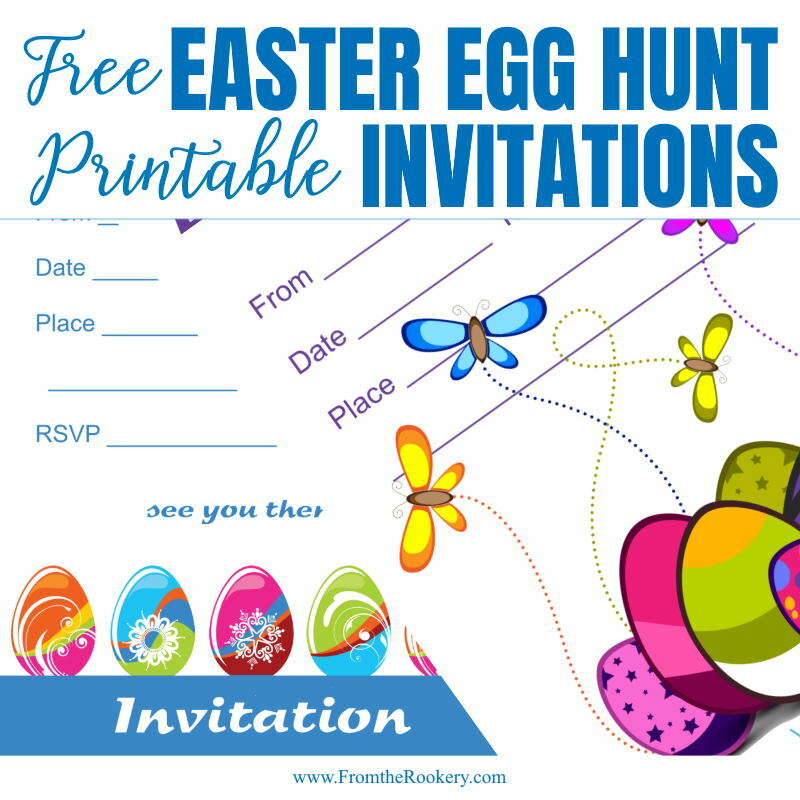 Do you need some printable Easter egg hunt invitations? 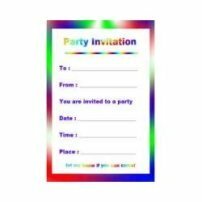 I have some lovely free invites for you, and I hope you love them. 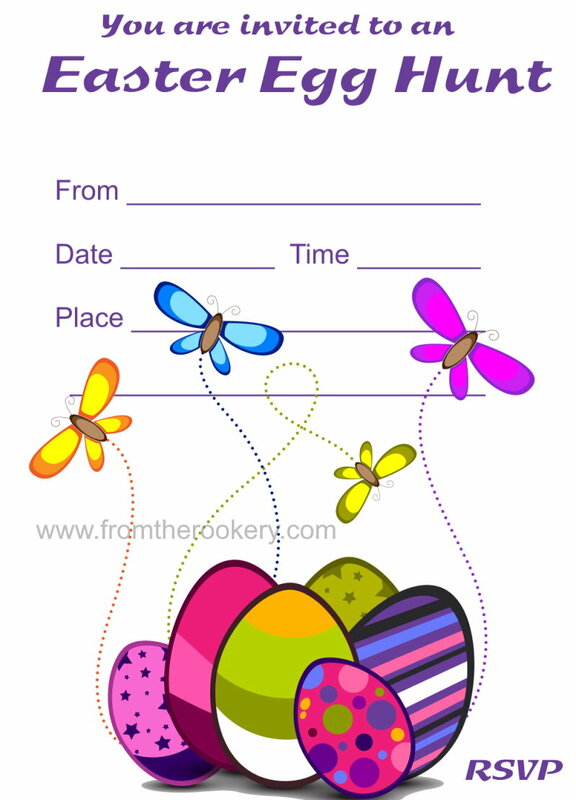 I have several Easter designs but this page is for kids Easter hunts. 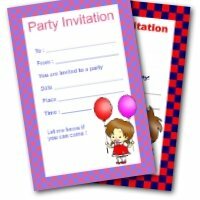 Two beautiful invitations - free to print and no registration needed to download them. 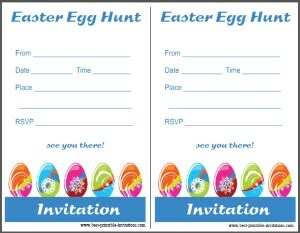 Kids just love hunting eggs - and these invites are a great way to tell them the details of your party. 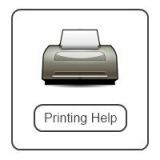 Just download your favorite and print. 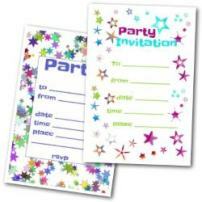 Both invites print two per page and need cutting apart. But other than that they are ready to go. 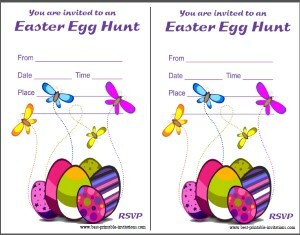 This is based on a design I have used before, but adapted to make it perfect for egg hunts. 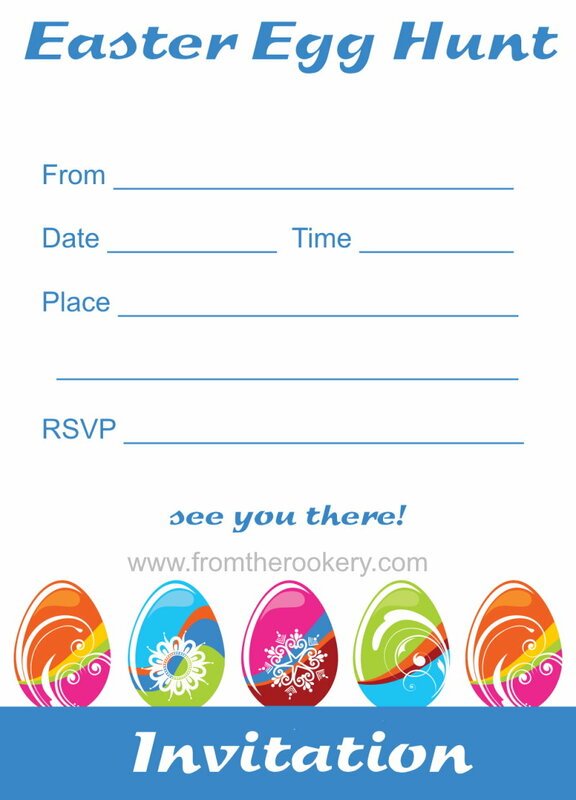 It is a very pretty invitation - but great to print because of the white background (saving you ink!). It features a lovely pile of eggs! And some sweet butterflies. Another clean and simple design, perfect for printing. 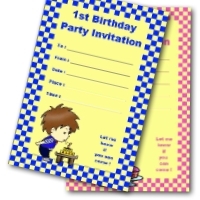 I love the simplicity of this one - but it is still a great invite for kids. A lovely balance. It shows several pretty eggs in a row. All beautifully decorated. 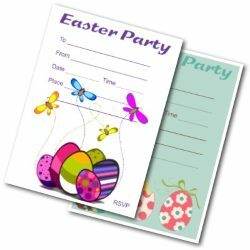 Egg hunt parties are great for kid for kids of all ages. But sometimes the older ones can get a little 'smarter' at collecting the eggs than the younger ones. I saw a great idea on Pinterest here, about color coordinating the eggs. Each child gets a different color to hunt and can only collect eggs of that color. 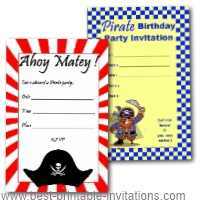 If you are having a large party, then you could divide the age groups into different color groups. 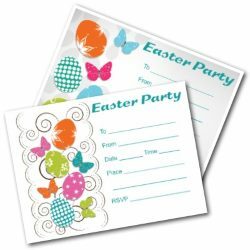 I thought that was a great idea and would give the younger ones a chance to leave with a prize or two! If you are worried by the amount of chocolate available over Easter, then why not use plastic eggs instead. 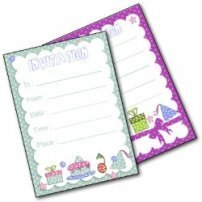 You can buy ones that split apart and can be filled with a little gift instead. 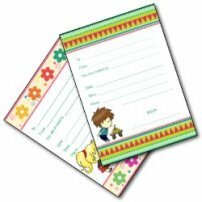 Use stickers, tiny notebooks, plastic jewelry and toy cars (for example!). Fun for the kids without the sugar rush! 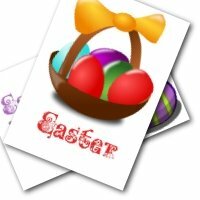 I hope you have a wonderful egg hunt!